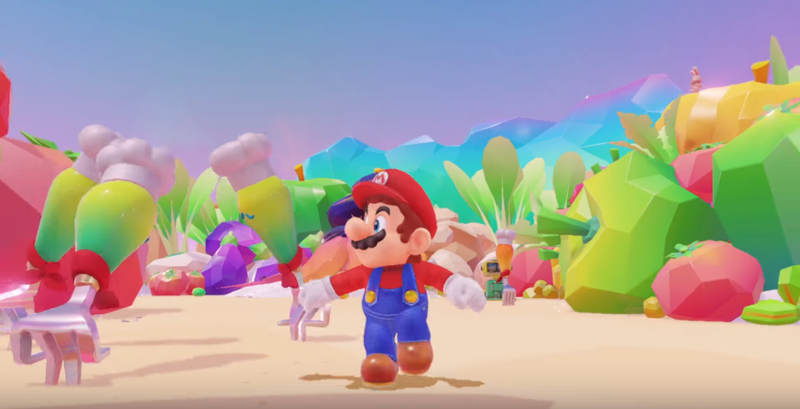 Speedruns have officially started being accepted for Super Mario Odyssey, and fans are now in a mad dash to figure out the best strategies, pathways, and jumps to beat the game quickly. In the last two days alone, the world record for clearing the game at any percentage of completion has been toppled multiple times by different people. By the time you read this, it’s entirely possible another speedrunner has come along and attained a new record. This run, while obviously accomplished by a very good Mario player, features multiple deaths, some missed jumps, and out-of-the-way Moons. Still, it’s an early look at what is sure to be a lively speedrunning scene. Unsurprisingly, IMtendo proceeds with the bare number of Moons necessary to power the Odyssey into the next section, often opting for some of the simplest ones available, all in the name of speed. He does collect some coins—at least one Moon in this run is purchased—and skips all the cutscenes he can to accomplish this current world record time. While many of us mere mortals could never beat the game this quickly, IMtendo notes there’s plenty of room for improvement. “This is bad,” IMtendo says, in reference to his run. Later on, he speculates that it’s possible players will be able to shave down the time to under an hour once a better route is figured out.